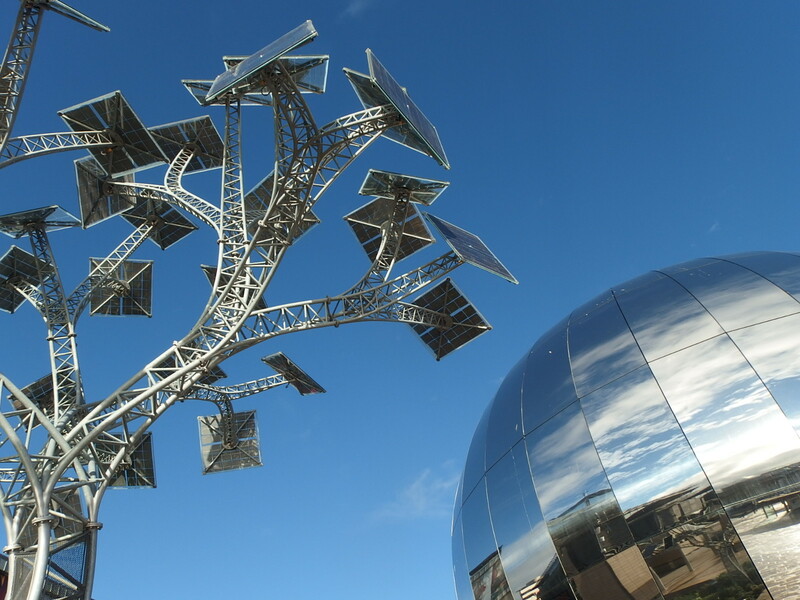 Sitting down to recharge your batteries has taken on a whole new meaning in Bristol’s Millennium Square, thanks to an art installation called The Energy Tree. 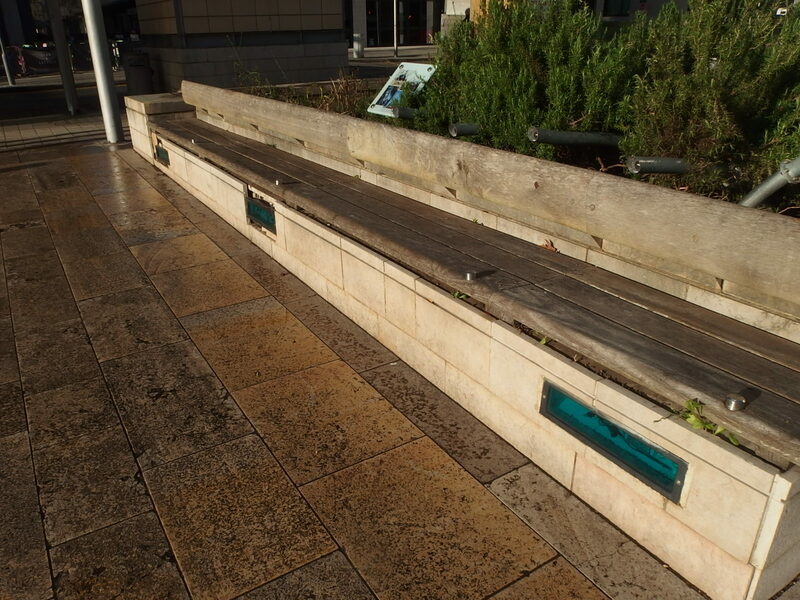 The solar panels store energy which is fed through those pipes you can see above the bench. 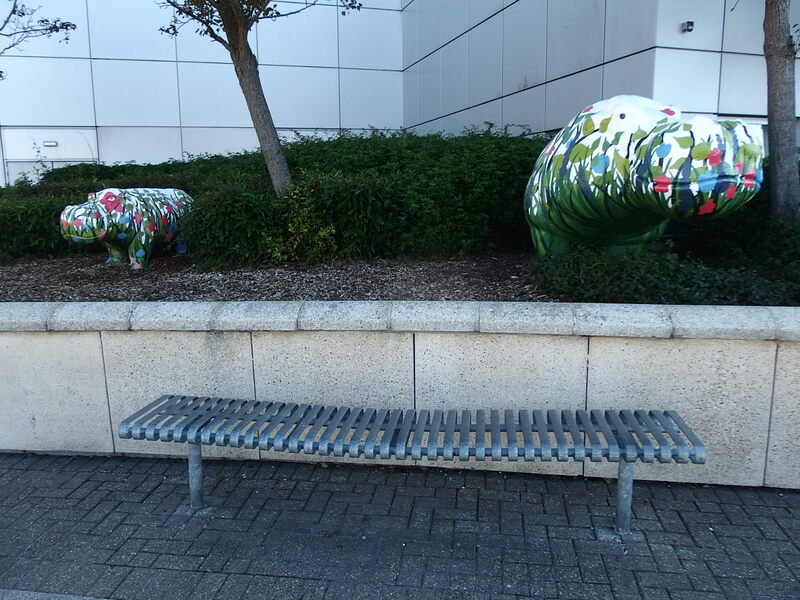 These allow visitors to sit down, relax, and recharge the batteries in their mobile phones. The newly renovated Bristol Old Vic is a triumph. It’s so inviting and uses lots of natural light and materials. 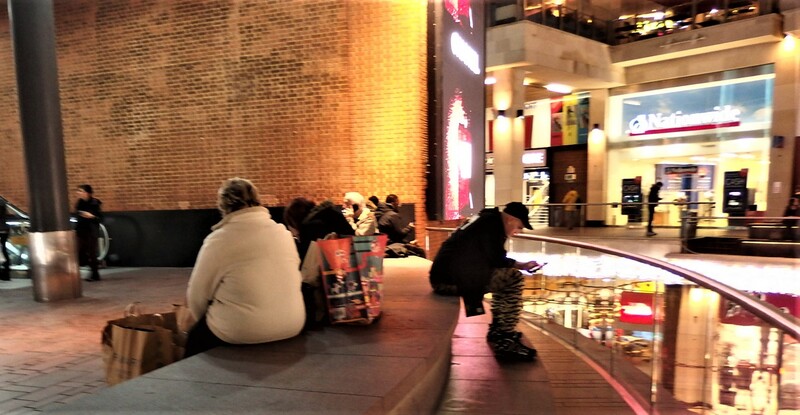 The entrance foyer has the usual bar, but unlike many theatres invites non-theatre goers to come in and have a drink or a meal and watch the hustle and bustle of the day’s activities. 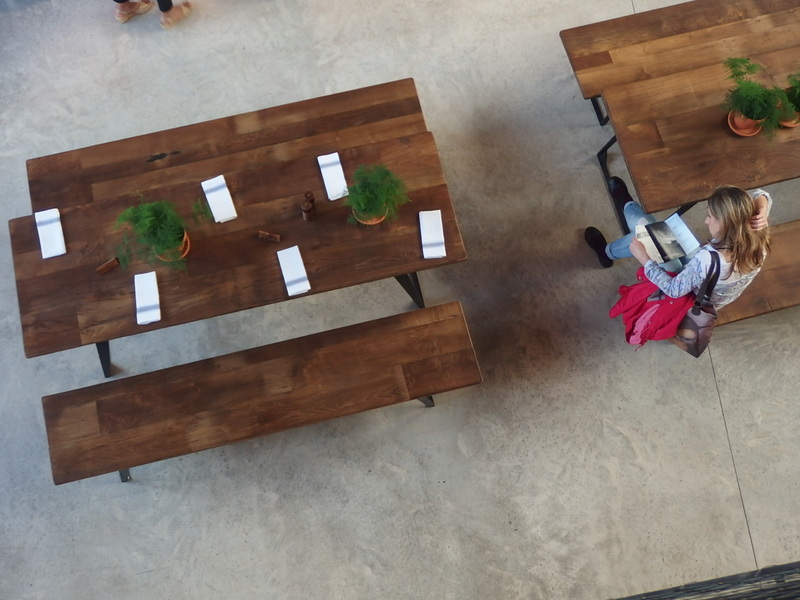 Naturally, I was pleased to see their use of benches… and the opportunity to explore the theatre at all levels and find this overhead shot. 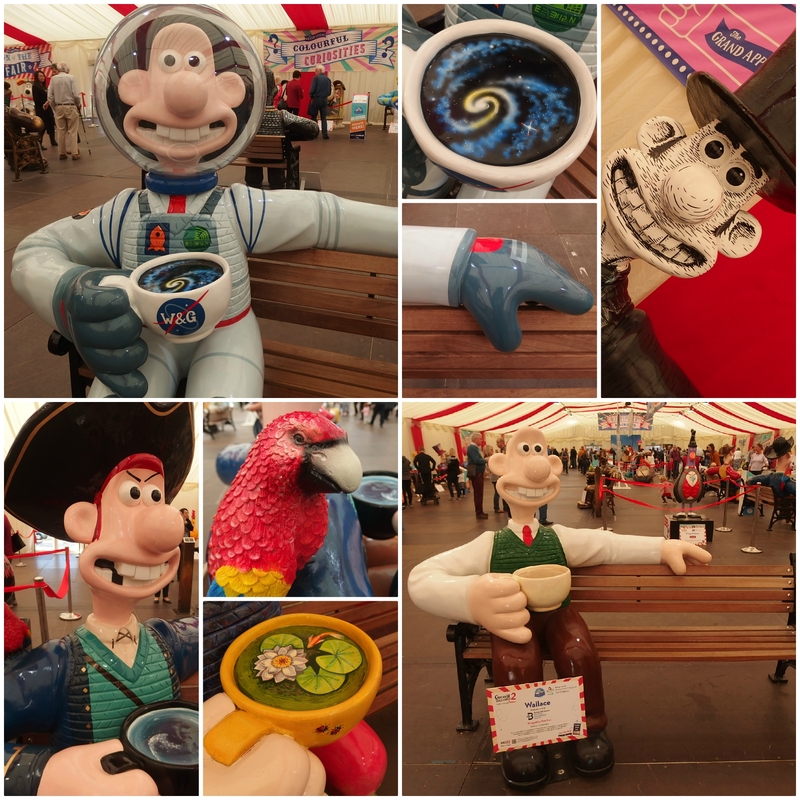 Wallace, Gromit and Feathers McGraw bought smiles to thousands of faces during the summer. 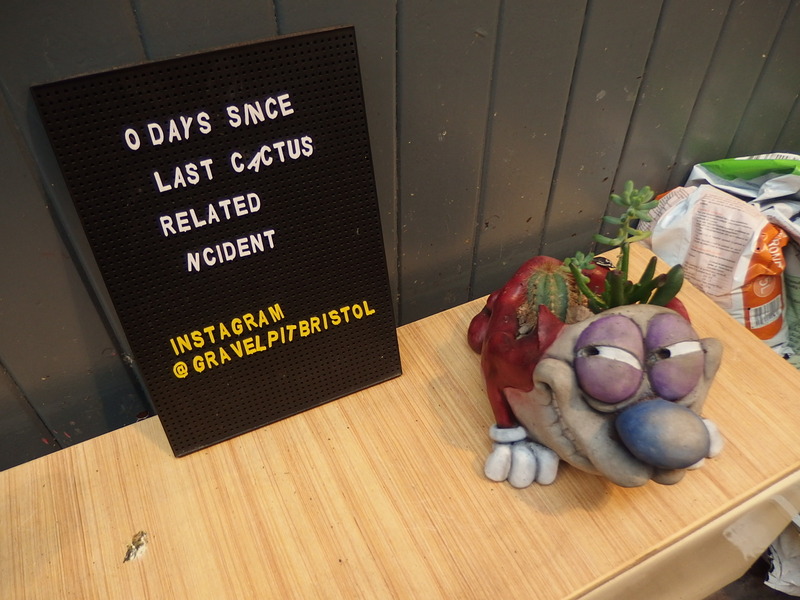 It was fun to see some of them on the Gromit Unleashed 2 trail in various locations in Bristol and see the reactions of others following the trail. 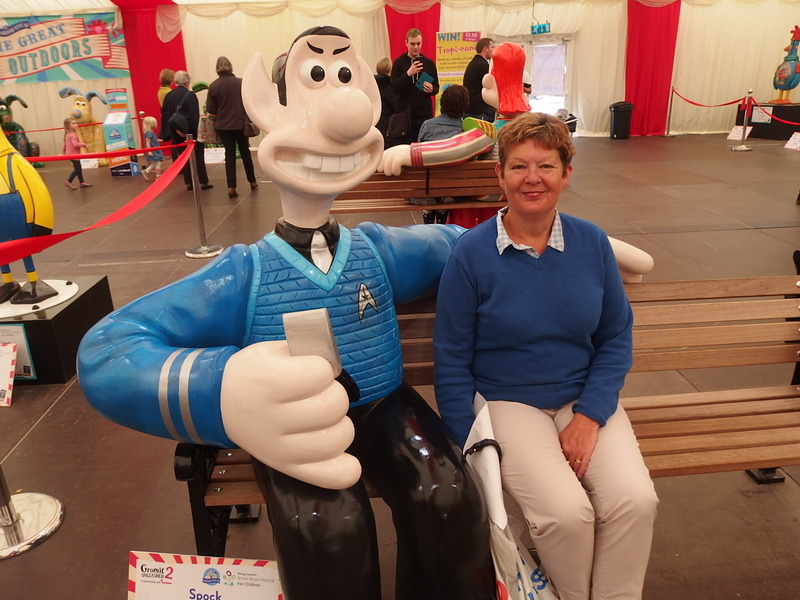 One of the Wallace benches was placed closed to my Avatar, so this simply had to be photographed. Then my husband made me giggle with his impression of Wallace when he sat on it. “Hey lad, it’s you.” which made me giggle. 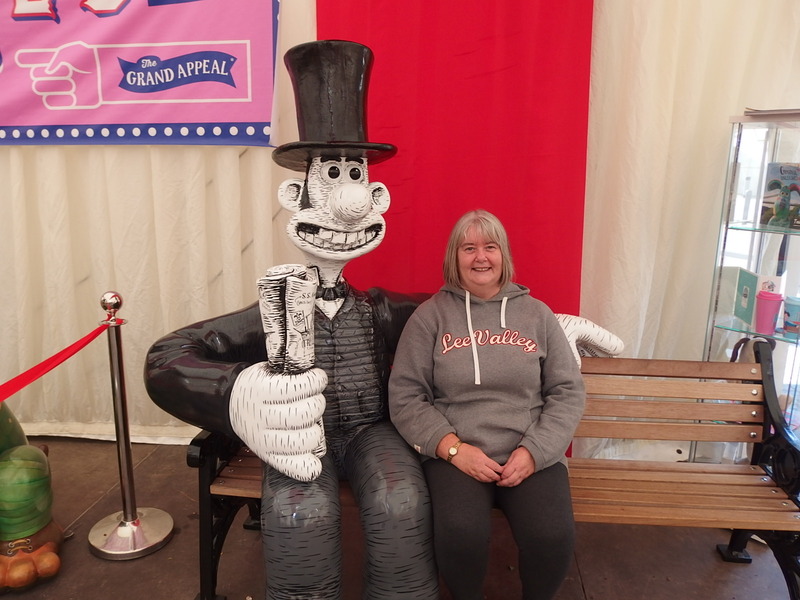 Last week I went with a friend to see all the Wallaces, Gromits and Feathers McGraw displayed at Cribbs Causeway. It was a last chance to see everything for a last time and to admire the detail and imagination which went into each piece. A couple of days ago everything was auctioned off for charity and raised over a million pounds. 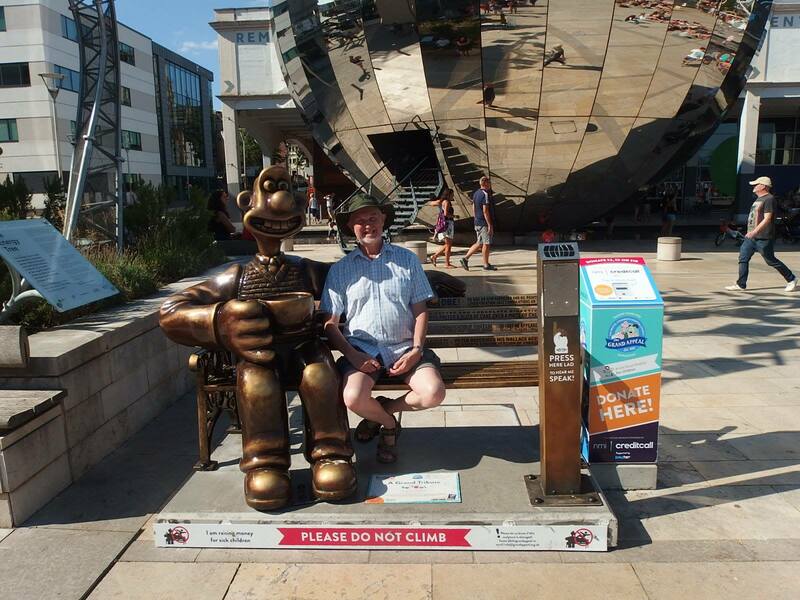 Two of the Wallace benches raised £55,000 apiece; the tribute to Peter Sallis and another of my favourites, Wallambard. Tonight the prize draw for one of the Gromits takes place. I have my fingers crossed! There’s been much written in the press over the years about the ‘postcode lottery’ for various treatments on the NHS, but I never imagined a bench would feature in a health related story. 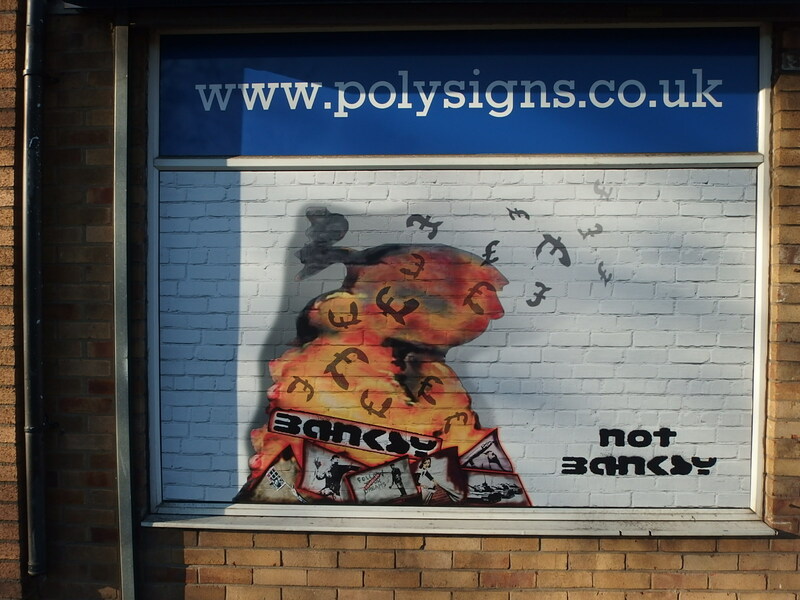 You need a postcode to register with a doctor, so how can that be achieved if you’re of no fixed abode? 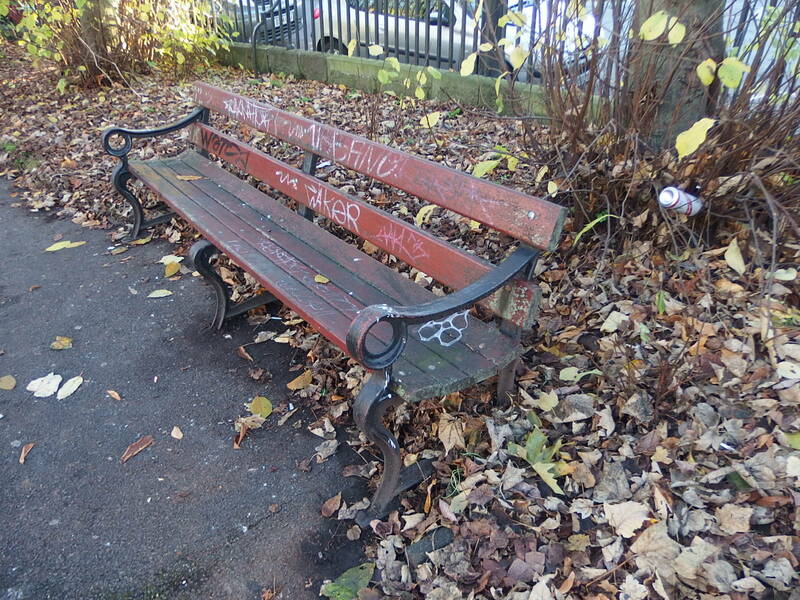 A practice in the centre of Bristol found a workaround by using the postcode of a nearby park bench in Portland Square to provide the address for the homeless who registered with them. It’s a neat way of ensuring ‘the system’ is satisfied, so the health workers can get on with the business of providing any care needed. 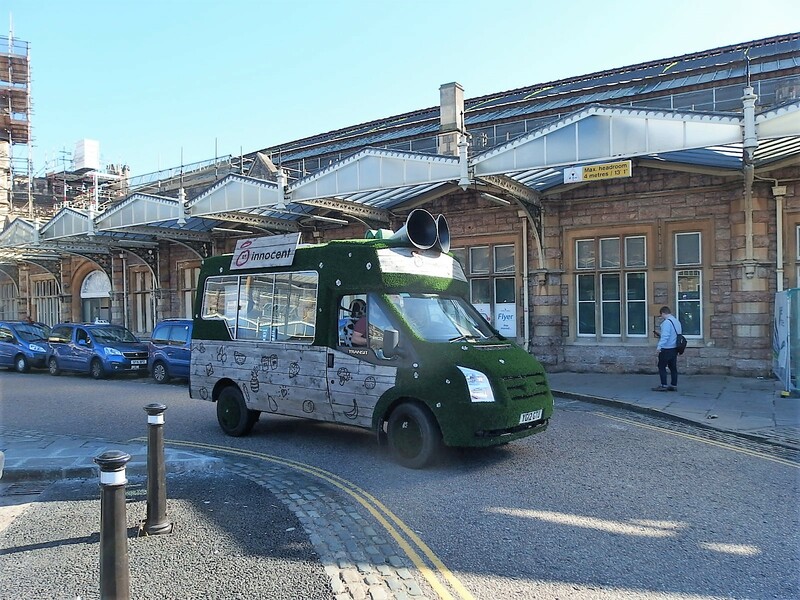 It’s a while since this story was reported in The Guardian, and so it may no longer apply, but it was still worth a diversion to Portland Square when I was in Bristol late last year. 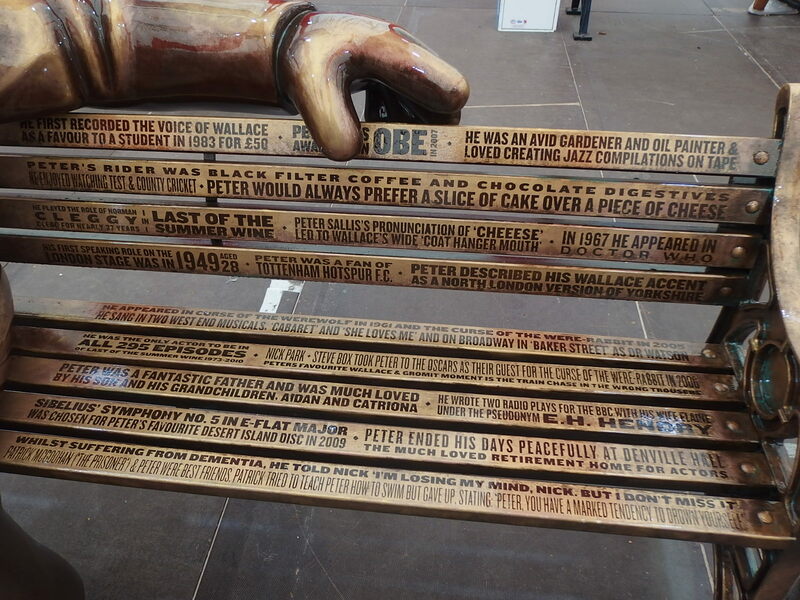 The Square in question has many park benches around its sides, so I can’t say whether this is the actual bench with the postcode. 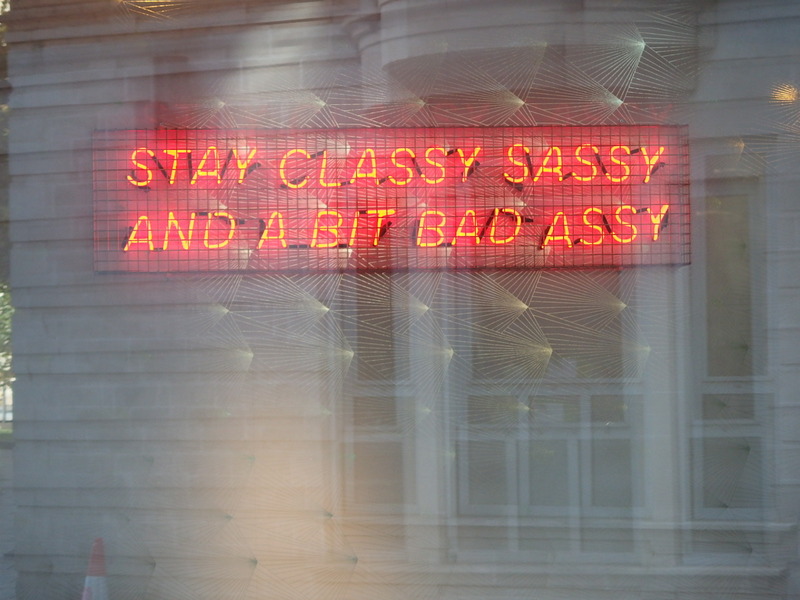 Perhaps they all do?